Today I’d like to introduce by fellow CIR author, Rebekah Lyn. Rebekah is a Christian with a heart for new beginnings, and her desire is to reflect that in each of her books. She writes character-driven novels, which she hopes will engulf the reader in a great story and leave them stronger in their faith. A sandal-loving native Floridian, Rebekah grew up on the Space Coast within sight of the Kennedy Space Center. She has fond memories of windows rattling and dogs barking as the big Saturn rockets or the Space Shuttles raced into the heavens. She will always be proud of America’s space program. With an eye upon her future, Rebekah received her Bachelors degree in Communications from Jacksonville University, Jacksonville, Florida. She has been employed for 20 years by a Fortune 500 corporation in Orlando and has a passion for travel. She has said, “Some of my best writing has been done on the balcony of a cruise ship.” Another favorite spot for writing is on the back porch of her parent’s home in North Carolina, enjoying the peaceful surroundings away from her hectic life in Florida. Well, there you go … writing on a cruise ship! Hadn’t thought of that, but HOW FUN!! Now, Rebekah, thanks for being here. I’ve got three questions for you, and then we’ll learn a bit about your books. Firstly, who are your favourite authors, and why? Morgan Llewellyn and Eugenia Price are two of my all time favorites. They have written historical fiction novels that completely capture the imagination and transport me to the times and places they are set in. For my high school graduation, my mom and I went to St. Simons Island, GA to visit the places in Eugenia Price’s St. Simons Trilogy. A few years ago I discovered Patrick Taylor and his Irish Country doctor series, which I adore. I try to read them slowly to savor the experience, but some nights I just can’t put them down. My go to authors for action/thrillers are Brad Thor, Daniel Silva and Vince Flynn/Kyle Mills. Those are all new authors for me … thanks for sharing them. Now, next question, where are your books set? Six of my seven books are set in Central Florida, which is where I live. The Seasons of Faith books are set in Orlando and the Jessie Cole trilogy is set in Titusville, where I grew up, as well as Houston, Texas. I spent several days in Texas doing research for Destiny’s Call (which just released on November 6). 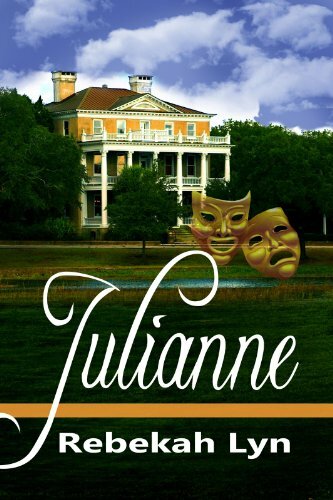 Julianne, is set in coastal and mountain areas of North Carolina. I’ve been going to the mountains since I was a little kid for summer vacations and the spots I used in that book are well known to me. The coastal North Carolina town is a fictionalized version of Carolina Beach, Wilmington, and Southport. I spent almost a week, between two different trips, exploring these towns to get the flavors I wanted in the book. Florida and North Carolina make lovely settings I’m sure, but I can’t speak for Texas as I’ve never been there. Now, one last question, do you write from your own experiences, or do you simply sit down and make stuff up? I write a combination from my own experience and completely made-up ideas. Sometimes, even when I’m writing from pure imagination, I look back and find bits of my history in the details. 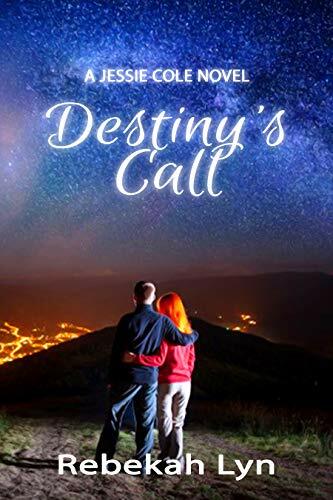 Seasons of Faith has a lot of my experiences in the hospitality industry, Destiny’s Call has a lot of my personal knowledge of the Space Shuttle program, and Julianne was born out of my own desire to quit my job and follow a new calling. Part of what I love about writing is the research aspect. Working on Undaunted gave me a chance to get to know my dad better and learn about his experiences growing up in Titusville during the space race, which is something for which I will forever be grateful. What a lovely idea … learning about a family member as part of your research. Hmmm … must try that she says to self! Now, tell us a bit about your books. I currently have seven books available: four in the Seasons of Faith Series- Summer Storms, Winter’s End, Spring Dawn & Christmas Vows; two in the Jessie Cole Trilogy- Undaunted and Destiny’s Call; and a stand-alone, Julianne. All are clean, with no foul language or violence, but Undaunted does deal with the effects of an alcoholic and abusive father. I know this can be difficult for some readers, but I’d like to assure you that there aren’t any graphic scenes, but rather discussion among the family of the abuse. You can find all of my books on my website. (and they’re also available on Amazon.) I also have three other writers on my site you may want to check out while you are there. Rest assured they are all clean and range from sweet romance to non-fiction. Just two of the many books you’ll find by Rebekah. Thank you for your writing, your books, and mostly your honesty! and I love faith filled books. Sandy, thank you so much for hosting me. I appreciate the opportunity to connect with more writers and readers.